English author Miranda Gray once said that “chocolate is health food for the soul.” She could not be more right. Chocolate has several physical and mental healing properties. Cacao, (chocolate’s natural state) has more magnesium levels than any other plant which helps our muscles, heart, increases energy and overall, promotes better brain function and relaxation. Cacao also raises serotonin levels, otherwise known as the “feel-good” hormone. So, chocolate makes you happy! Use of cacao is well known among cultures near, far and across the span of time. The ancient Aztecs believed cacao to be a delicacy and luxury, and they tapped into chocolate’s healing properties; for good reason. Janna Zarchin is doing just that; using raw cacao to promote physical, spiritual and mental healing. Janna Zarchin, speaker, teacher, coach and a licensed mental health practitioner is the developer of Soul Magic Healing, which is a quantum and vibrational method of lifting blocking beliefs and limiting patterns from cellular memory. 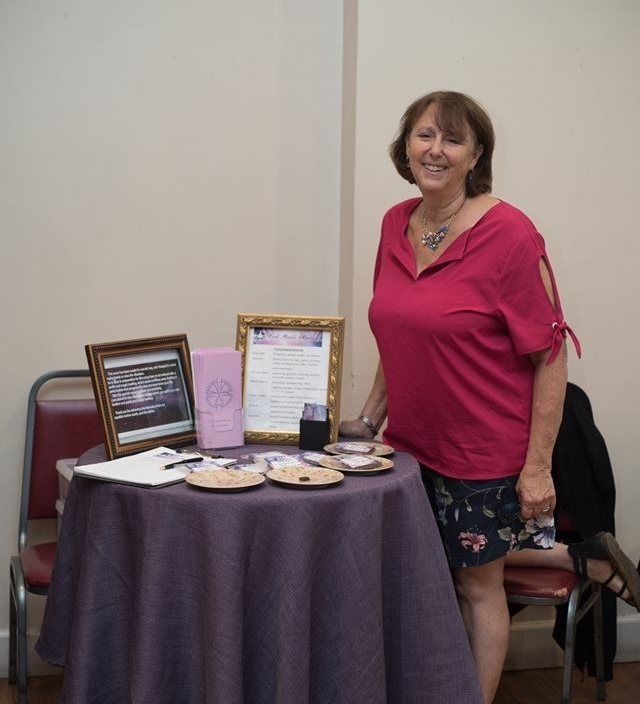 Also an ordained interfaith minister and licensed family and marriage therapist, Janna has over 30 years of training and experience in the healing and spiritual arts. She creates raw cacao bars in a most sacred way to promote individual spiritual healing. She begins by praying prior to making her bars. The pure ingredients are then prayed and chanted over as they are added. Temperature is closely monitored during the cooking process to keep the cacao under 120 degrees to preserve its micronutrients, and then they are left to cool, freeze and solidify. The most special part of this chocolate making goodness comes after the bars creation. Each bar is then charged in alchemial crystal singing bowls which raise their frequency. The Soul Magic Healing is the vibration/quantum sacred process to remove the limiting and painful thoughts that you may have which block you from living a happy life and reaching your fullest potential. Janna has studied nutrition and energetic healing closely, and through her knowledge and fascination with cacao, came her inspiration for her magical healing raw cacao bars. “I have learned that cacao is a magical thing. It is grown in the most sacred of ways. The tree feeds from the roots of an overarching companion tree, and is gardened by special insects that care for the tiny flowers that create the amazing fruit,” she writes on her website. Through testimonials, those who consumed the raw cacao bars began to experience positive life changes almost immediately. You can experience this, too.